Curated luciana achugar into the River To River Festival in 2012 (“FEELING…..FORM”). luciana achugar is an Uruguayan choreographer based in Brooklyn. She moved to New York in 1995 after graduating from Cal Arts. In New York, she worked as a dancer with several influential choreographers including Jeremy Nelson, Wil Swanson, Maria Hassabi, Chameckilerner and John Jasperse. From 1999 to 2003, she worked in a close collaborative relationship with choreographer Levi Gonzalez. Since 2002 she has been doing her own independent work. achugar has created seven independent works including PURO DESEO, which premiered at The Kitchen in April 2010 and received a NY Bessie Award in October 2010 for her and all of her collaborators. Her work has been presented in NY at Movement Research’s MELT Festival; the Ensemble Studio Theatre; The Latino American Dance: Not Festival Project; CANADA Gallery; Klaus von Nichtssagend Gallery; La MaMa; Abrons Arts Center; Danspace Project and Dance Theatre Workshop; in Minneapolis, MN at the Walker Art Center and The Southern Theater; in Cambridge, Massachusetts at the Green Studios and in Uruguay at the Festival Iberoamericano de Danza, the Centro Cultural de España and the Teatro Solis. achugar received a BESSIE Award as Creator/choreographer for her first full evening-length piece Exhausting Love at Danspace Project which premiered in November 2006. In November 2008, she accepted Tere O’Connor’s BAX10 artist and artists in progress “Passing it on Award”, The BAX10 honors individuals in the arts who have revealed and transformed our creative world, deepened the definition of their field and paved the way for others. And, most recently, in April 2009 she received the LMCC’s 2009 President’s Liberty Award. 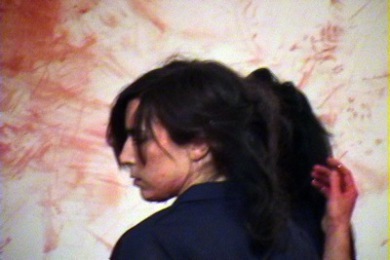 luciana achugar is a Foundation for Contemporary Arts, 2010 Recipient. She was a 2008 New York Foundation for the Arts fellow in Choreography, a 2007 Choreography Fellow of the Maggie Allesee National Center for Choreography at Florida State University and a 2007 Sugar Salon Artist, a program developed by WAX in partnership with the Barnard College Department of Dance. She been an Artist-in-Residence at Movement Research, Barnard College, Bennington College, DTW’s Outer/Space Program, the LEX-Dance Summer Residency, MANCC at FSU and at the Daghdha Dance Company in Limerick, Ireland. She was a 2009/10 BAX/Brooklyn Arts Exchange Artist-in-Residence and is there now as Research Artist in Residence during 2010/11. She received the Herb Alpert Award for Dance in 2017. She received a MAP Fund Production Grant and a Jerome Foundation Grant for PURO DESEOand was a 2008 recipient of Building Up Infrastructure Levels for Dance (BUILD), a program of New York Foundation for the Arts. BUILD is a JPMorgan Chase Regrant Program, made possible by The J.P. Morgan Chase Foundation, with additional support provided by The Starry Night Fund of the Tides Foundation. Her work has received support from the Meet the Composer Fund; the Puffin Foundation; The Leonard and Sophie Davis Fund; and from public funds from the Manhattan Community Arts Fund, supported by the NYC Department of Cultural Affairs and administered by the LMCC. Her most recent achievements came this year, when she received a prestigious 2013 Creative Capital Artist Grant and a Guggenheim Fellowship for her work OTRO TEATRO which is set for a world premiere at the Walker Art Center in Minneapolis and for a New York premiere at New York Live Arts.